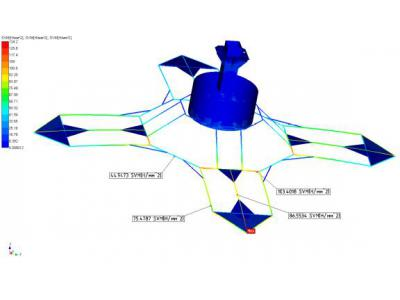 Calculation of the strength of the attraction "Biorobot"
According to the technical task agreed with the Customer, it was required to analyze the design of the attraction "Biorobot" for strength, rigidity and stability under the action of design loads. 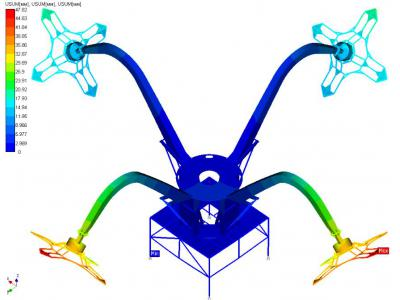 The design model of the attraction was formed on the basis of the drawings sent by the Customer. 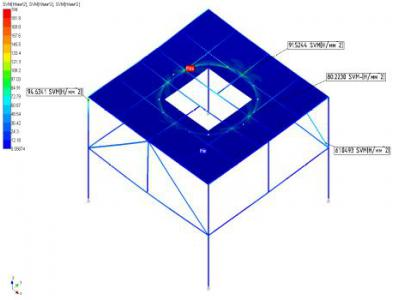 The static calculation is carried out in the module for calculating the stress-strain state, stability, own and forced oscillations of parts and structures using the finite element method - APM Structure3D, which is part of the automated calculation system and structural design for industrial and civil construction APM Civil Engineering 14. As a result of the calculations, maps of the stress and strain state of the structure were obtained for various combinations of loads. Below is a part of them. 1. 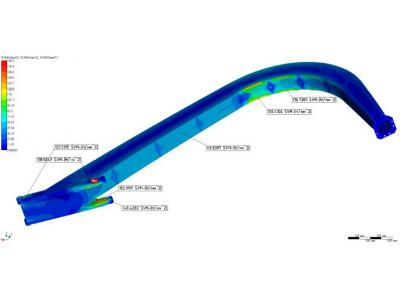 Analysis of the results of static calculation shows that for given design loads, equivalent stresses arising in the attraction elements do not exceed the yield strength (design resistance) of the materials used, i.e. necessary strength is provided. 2. 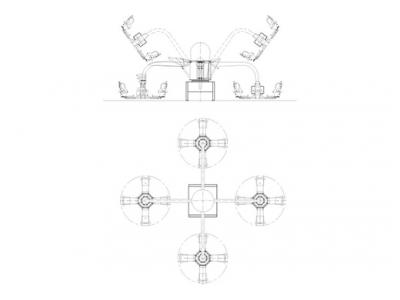 It has been established that under the action of design loads in all cases of loading, the rigidity of the design form of the attraction is ensured. The resulting movement of the elements of the attraction does not exceed the allowable. 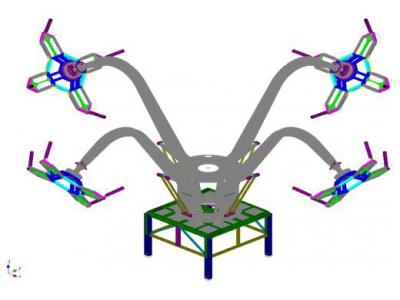 Summarizing the obtained results, we can conclude that the design of the attraction is capable of carrying loads applied to it, corresponding to the conditions of operation, and does not require additional measures to increase the strength characteristics. 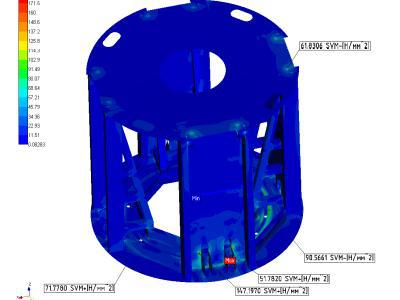 The work performed showed the applicability of the APM Structure3D strength analysis module for solving complex problems of amusement strength analysis.